Everywhere I go I feel like I'm seeing cool, colorful sandals inspired by far-off places. 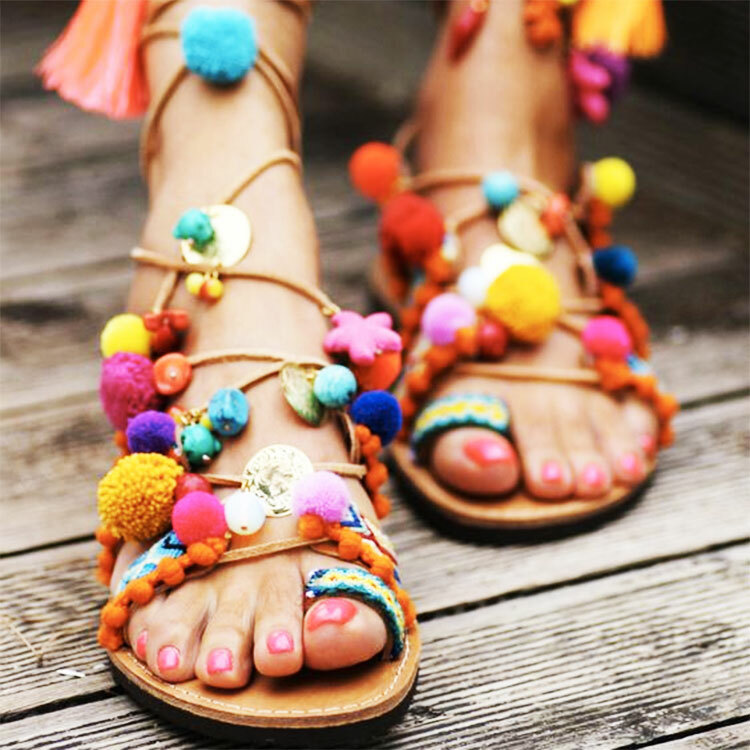 Embellished with beads and pom poms and adorned with every color of the rainbow, there's no better way to make a statement for spring than with a pair of gorgeous shoes. Think how lovely these would look with a simple white frock or chambray romper! I say these sandals are a spring vacation must-have. Which pair is your favorite? Let me know in the comments! So gorgeous sandals ! They looks perfect for summer. Glad you liked them, Marie! Thanks for reading! Nice! Yeah, there are plenty of handmade options too. Glad you found a cute pair!